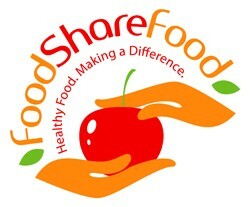 As a local Community Supported Agriculture business, Food Share Food aims to employ local teens who have a focus on helping those in need, as well as constructing the most efficient and high quality business as possible. In our second year of business we cannot wait to see the continued effects Food Share Food will have on connecting our community to those in need through the delivery of fresh produce. Starting June 20th, and ending August 8th, we will be providing our customers with a 16 x 12 x 10 inch box in which we will fill with fresh produce from different local vendors. The box, or "share", will consist of both fruits and vegetables that will be selected by the vendors each week depending on what is in season. Check our produce tab to see what kinds of fruits and vegetables we will be using! For every three boxes of produce that we sell we will be donating one to families in need in North Chicago. We will be working with North Chicago Community Partners to locate families in need in the North Chicago Community School District 187. Food Share Food will also be donating some of these boxes to the Emmanuel Faith Food Pantry. Our goal this years is to donate over 300 boxes throughout the course of the program! As the summer progresses we will try to hold information sessions and cooking classes so that those recieving the goods will be better informed on how to make healthy choices with the food they are getting.